At each store, there was a setup of PowerCoco samples and the opportunity to snap a photo with Carmelo at the step-and-repeat. I was able to meet the PowerCoco team and hear the story behind creating the new sports drink. 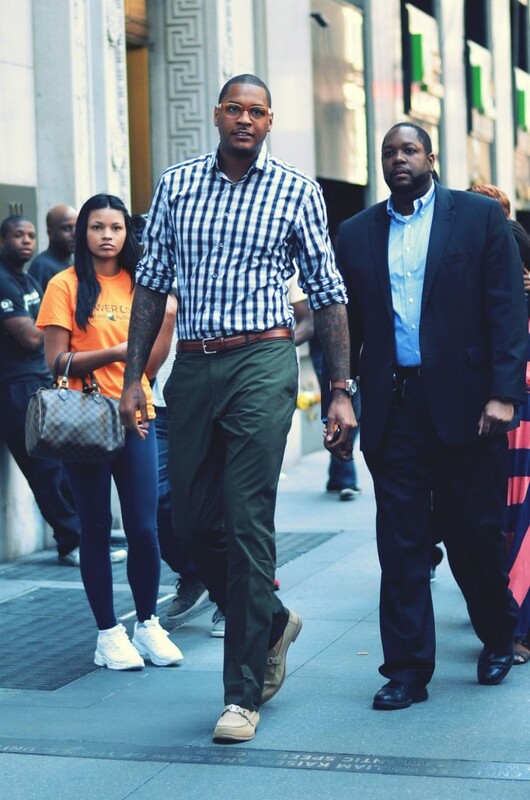 I feel like I’m channeling my inner streetstyle photographer, or paparazzi snapping this photo of Carmelo Anthony arriving at the first Duane Reade location. The day became more and more hectic with every store we visited. The word spread so quick and fans line up to meet Carmelo. It was super hot that day too, so the PowerCoco was amazing to have at hand whenever I felt dehydrated. Currently, there are four flavors available: lemon-lime, tangerine, grape and tropical berry. The lemon-lime was my favorite! It’s just simply exciting to be part of a launch event like this. The fans were SO excited to meet or even see Carmelo, it’s truly amazing! The crowd control was good, no swarming here, but even as he stepped outside, people crowd around him to take photos. He made so many fans’ day simply by posing with them for a photo. Super great launch for PowerCoco!